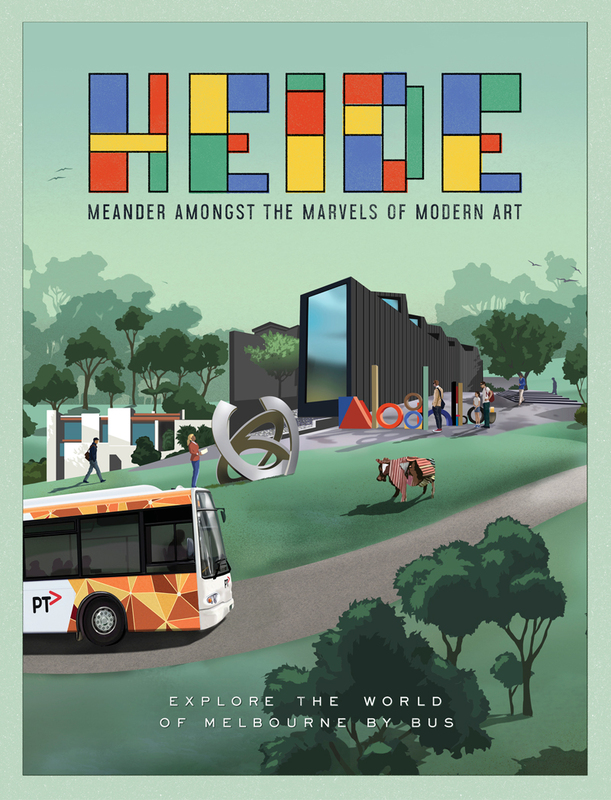 The humble bus was fading into obscurity as a mode of transport. 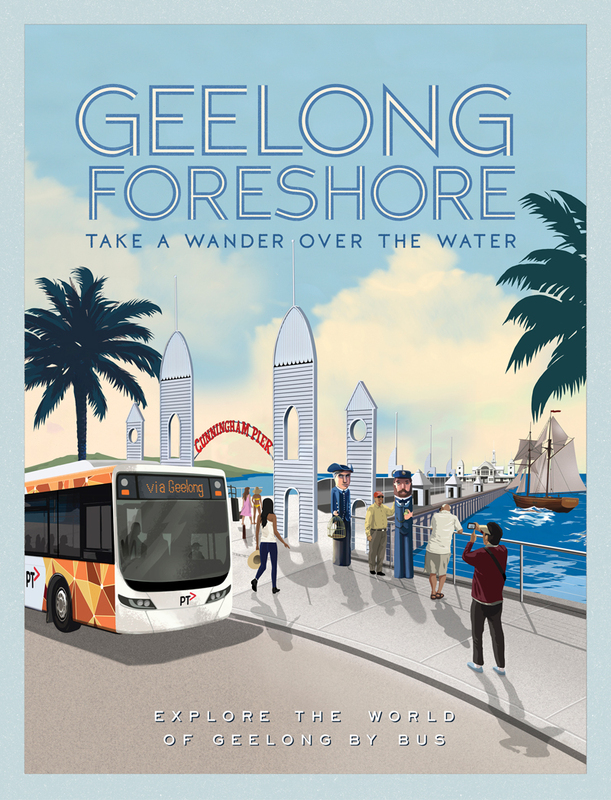 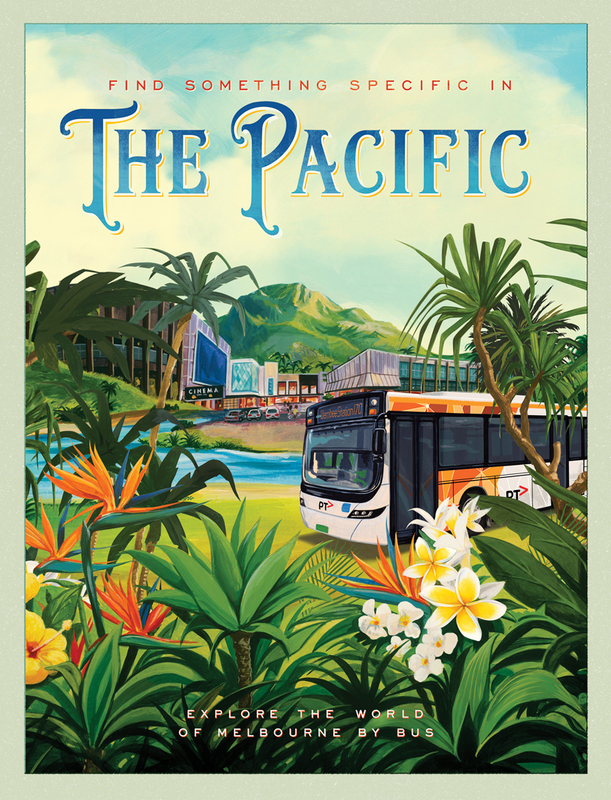 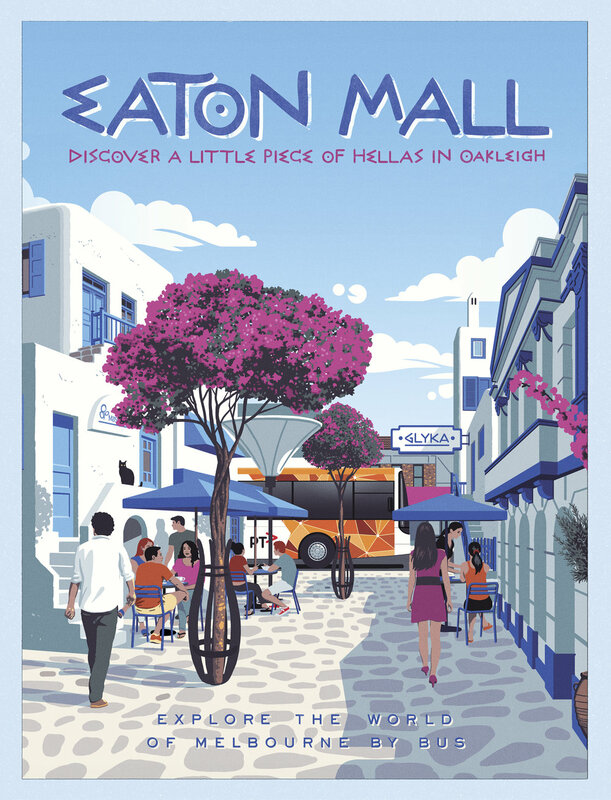 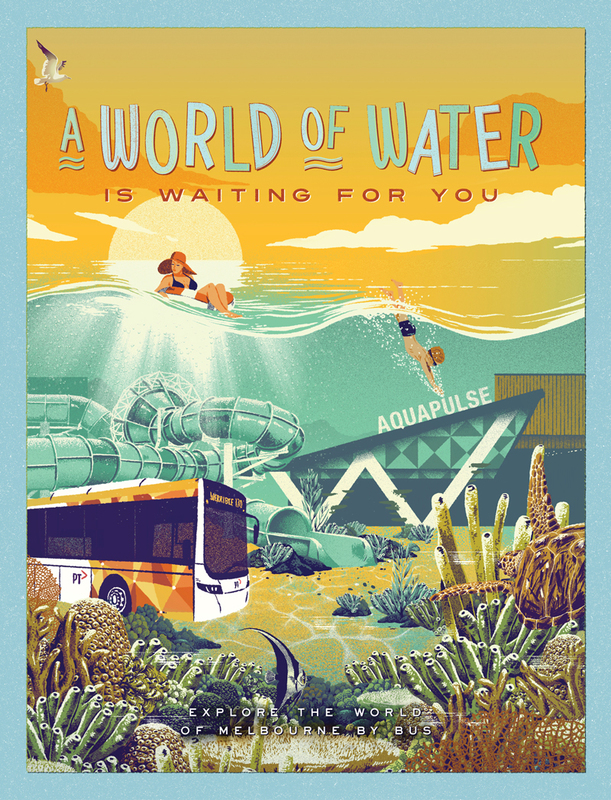 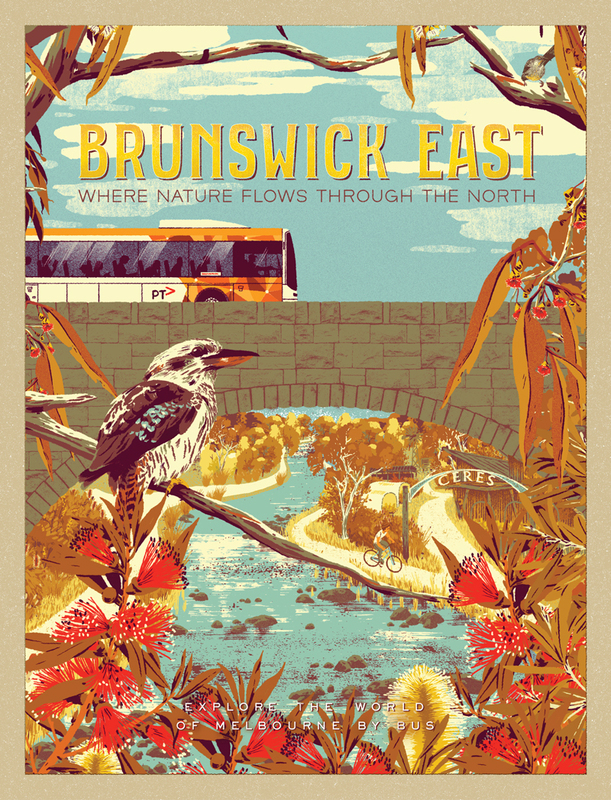 So to reignite interest in the local exotic destinations you can travel to by bus we created a campaign inspired by travel posters of old. 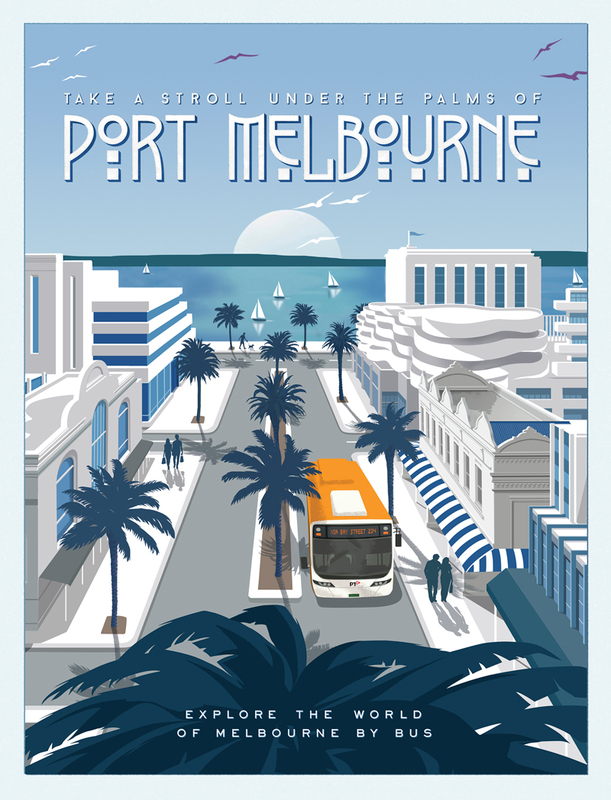 To date we've created 33 posters in the series. 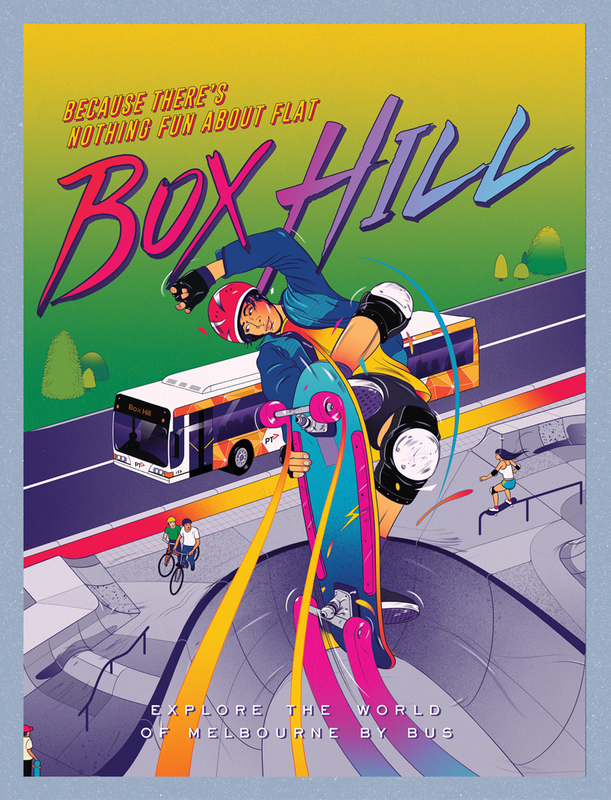 The campaign has been recognised by Lürzer's Archive. 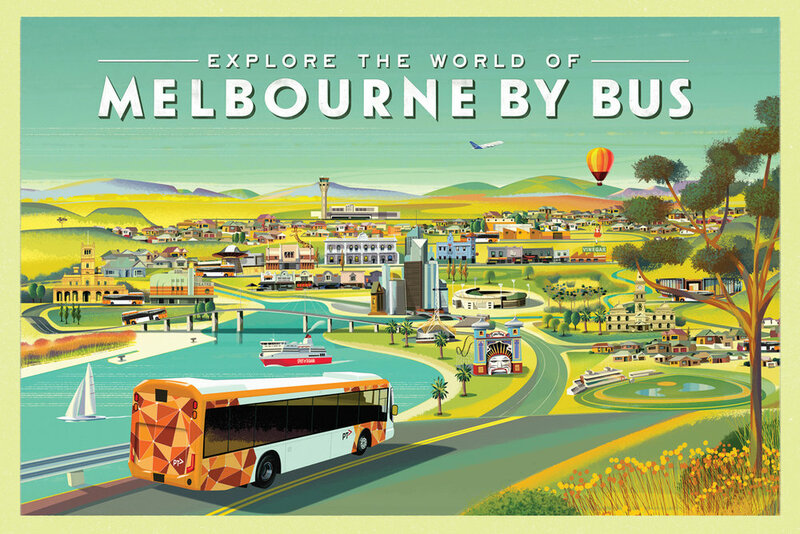 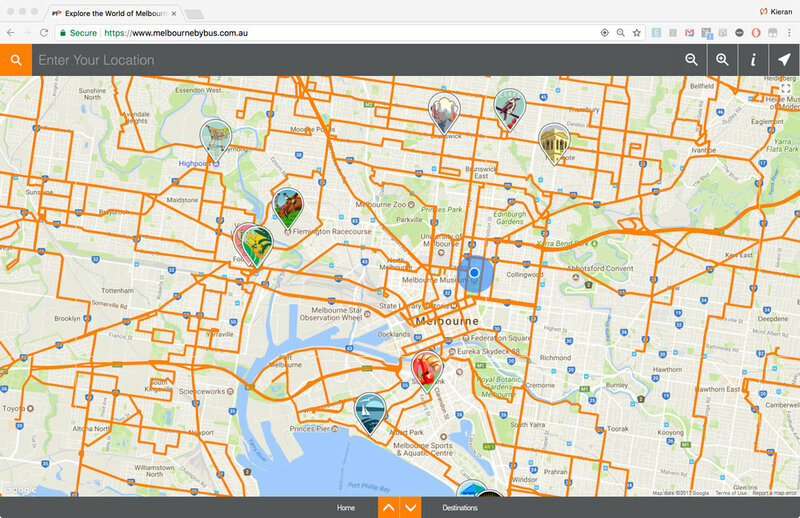 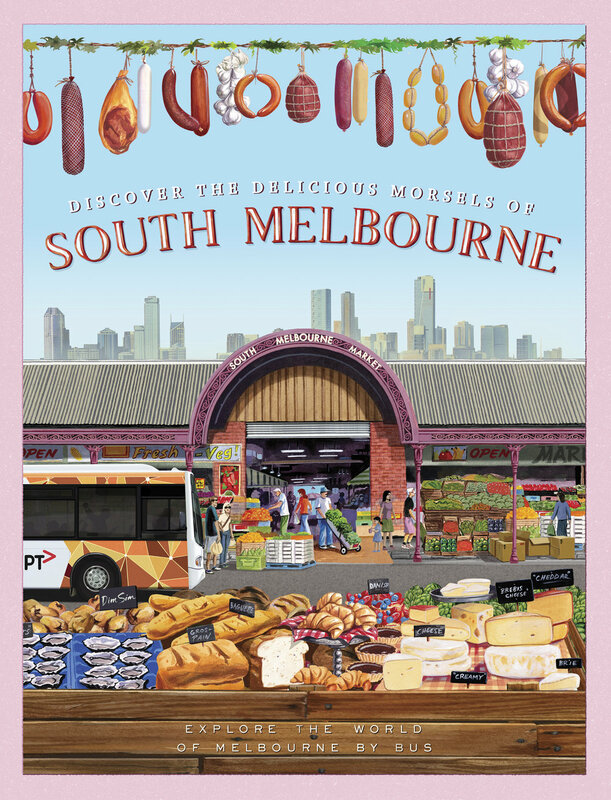 The campaign is supported by melbournebybus.com.au as the central hub for everything bus related. 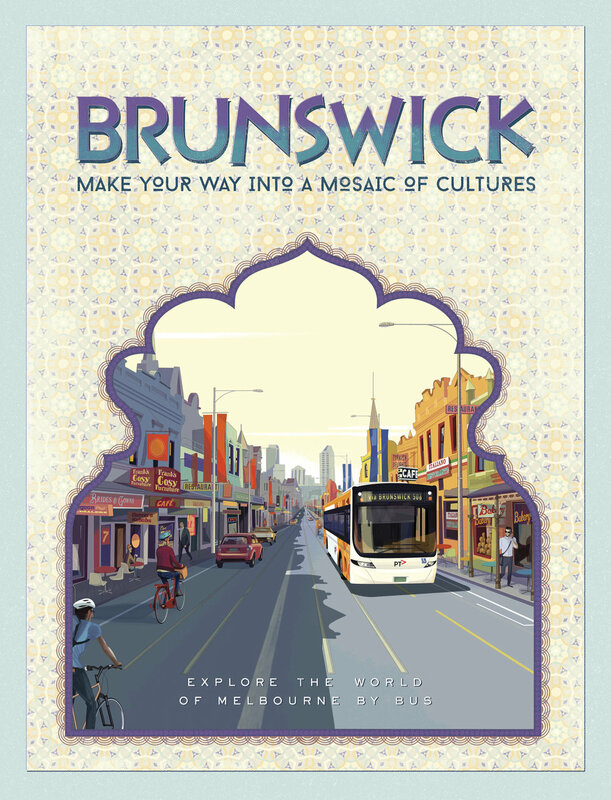 Building on success in Melbourne the campaign has been extended to the City of Geelong.